In a recent blog from 343 Industries, Halo 5 Guardians Beta feedback looks to have a significant impact on the final version of the game, which is due for release later this year. 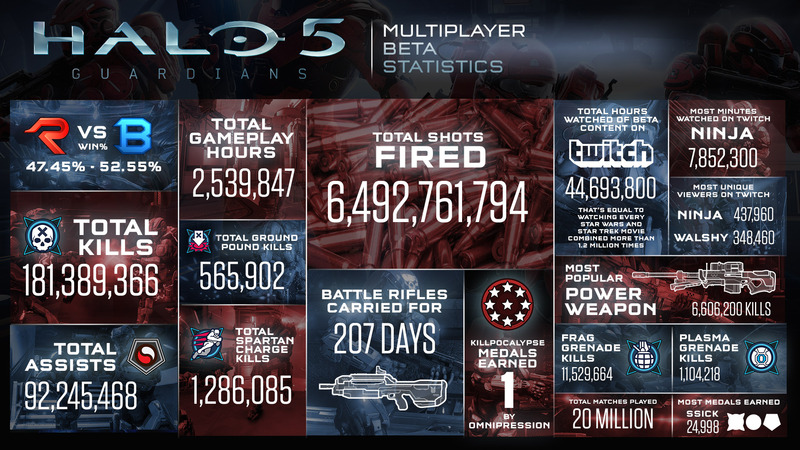 Along with the article was an interesting infographic that outlined a number of (amusing) statistics from the beta. From the looks of it, they'll have no shortage of data to work with while working to implement the changes suggested by players.